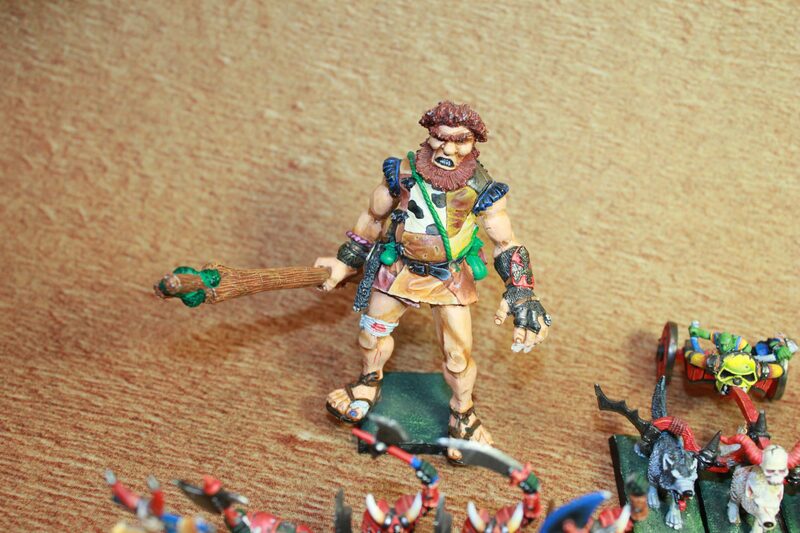 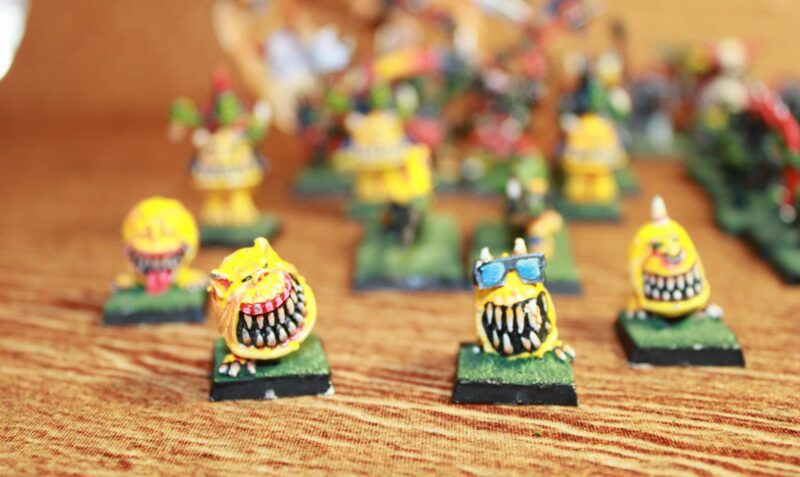 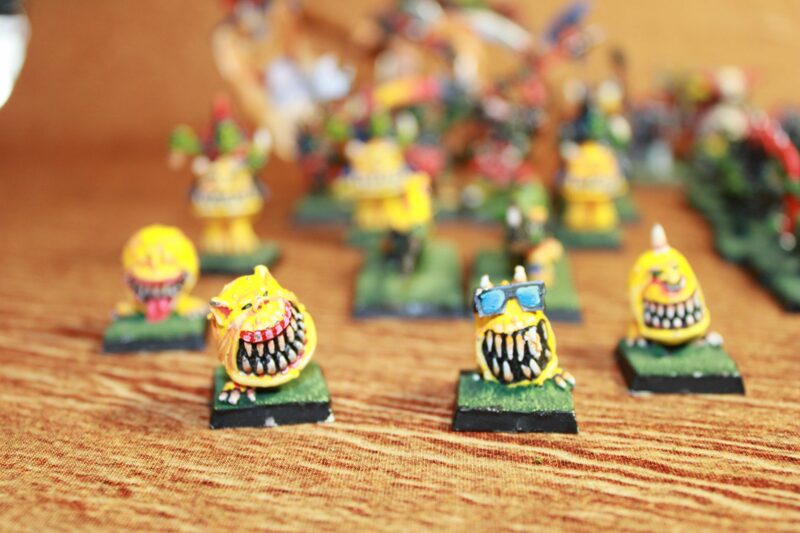 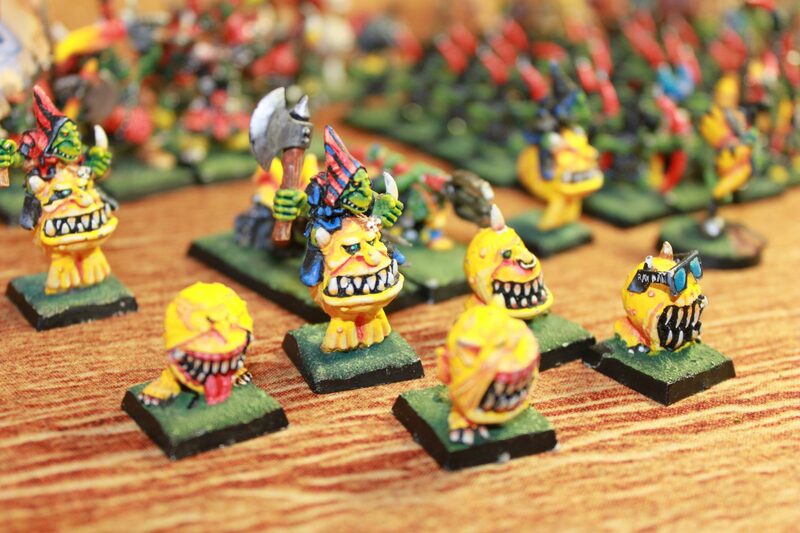 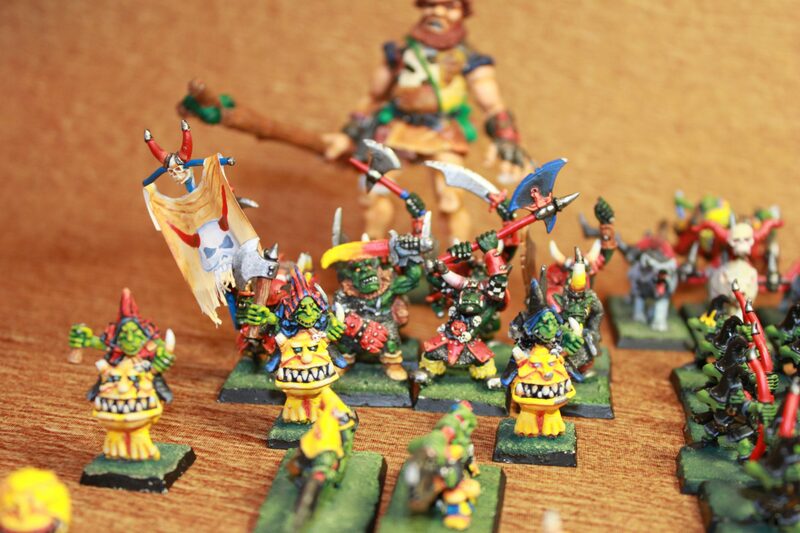 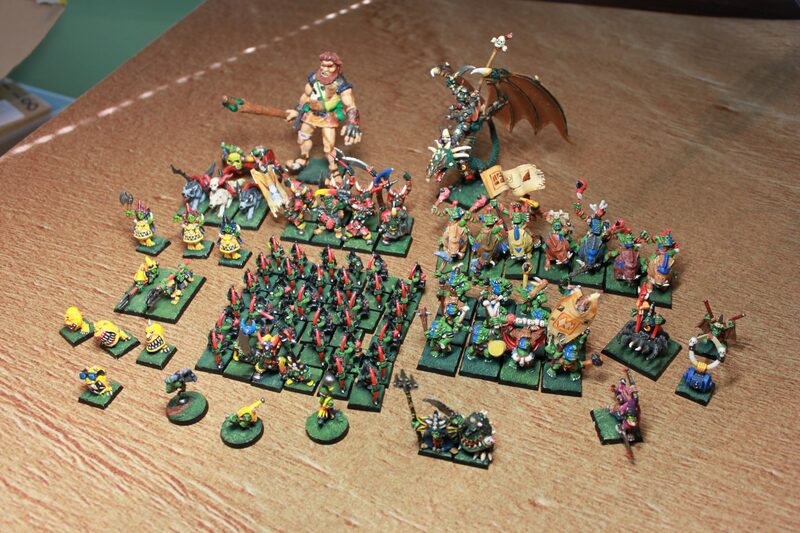 I painted this army back in 1995 – 1999 while studying visual communication and graphic design. 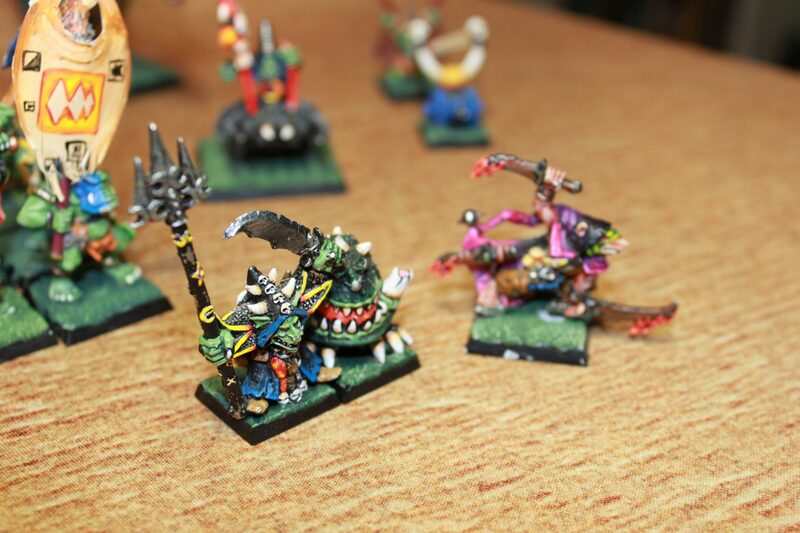 As you can see this army is based around what miniatures I could get hold of and wanted to paint. 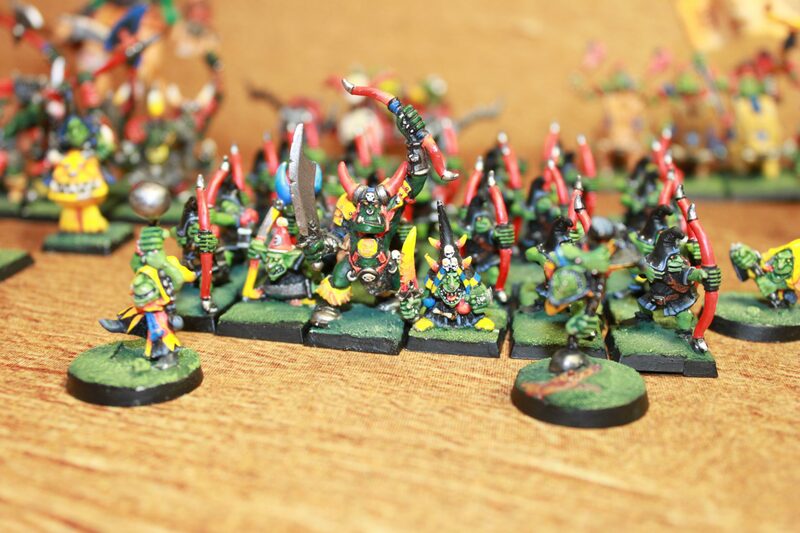 So it is a Night Goblin / Savage Orcs / Black Orcs army! 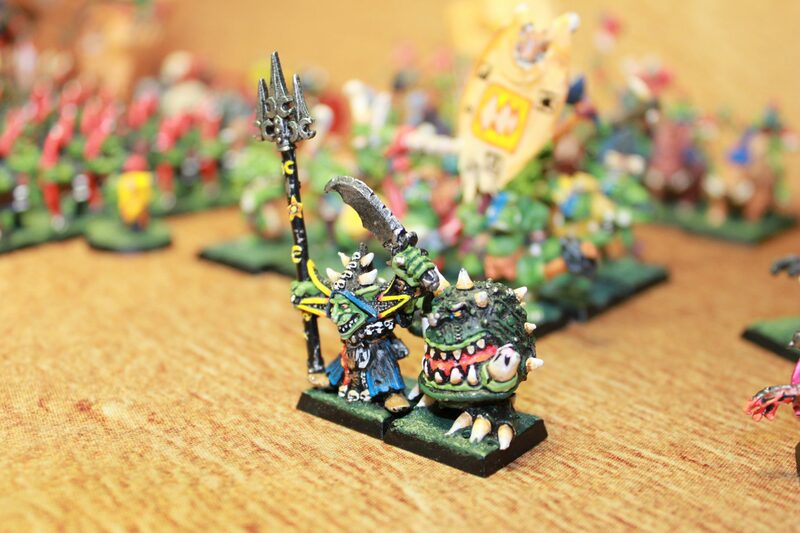 The army is lead by a dual effort of Skarsnik and Gobbla under the heavy influence of the unnamed Black Orc boss on a menacing Wyvern… You may be wondering how Skarsnik is holding on to the power in this relationship. 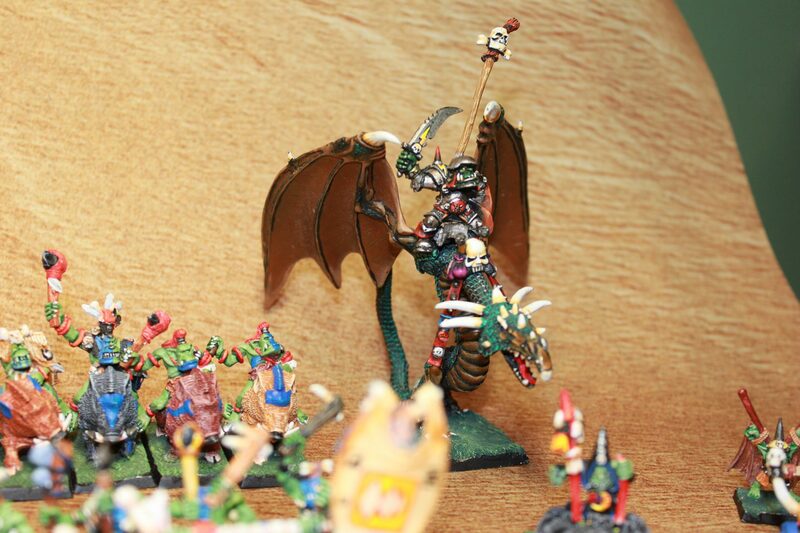 Let’s just say he has Skaven watching his back. 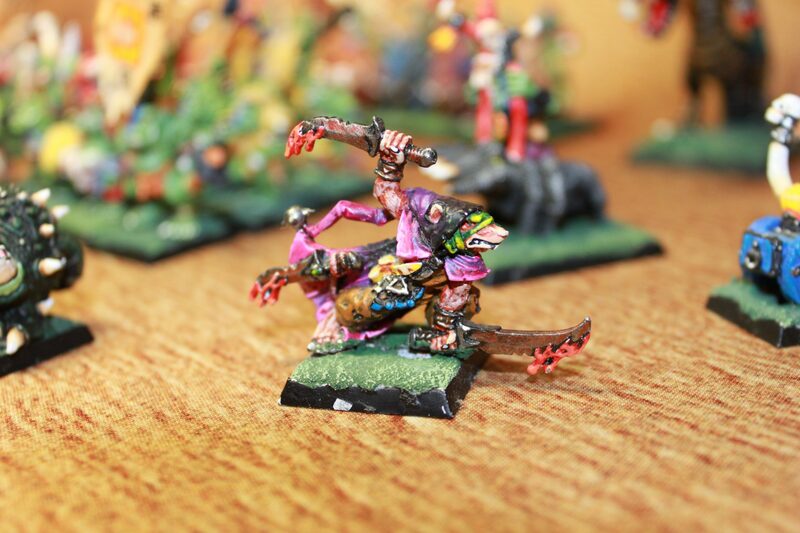 A skaven known as Death Master Snikch. 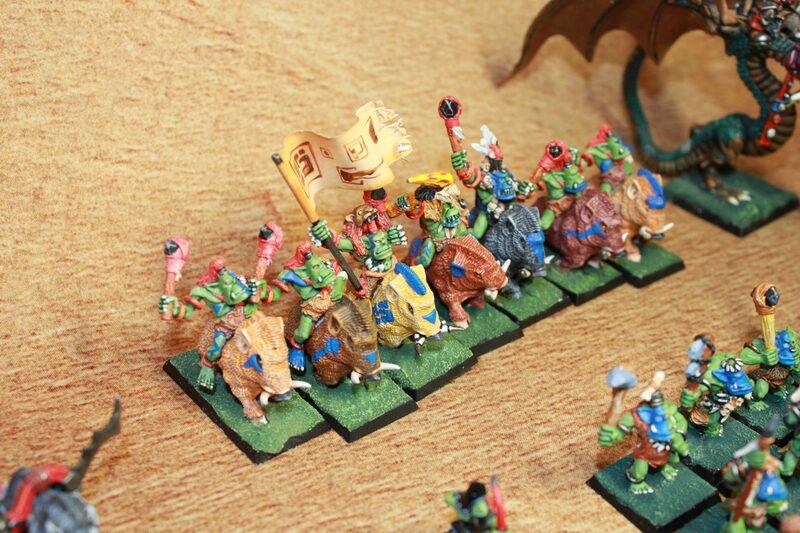 At the time Savage Orcs had an unmodifiable 6+ save, which was quite appealing. 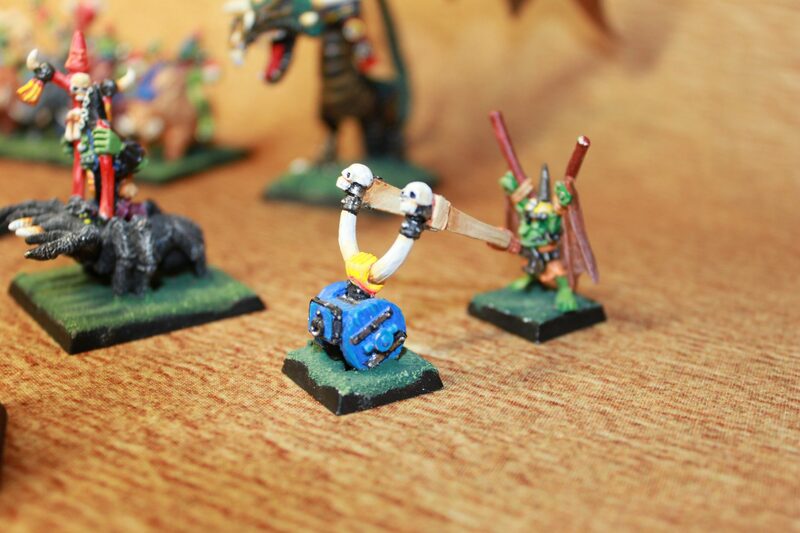 On top of that, each team has a Shaman for some magical oomph. 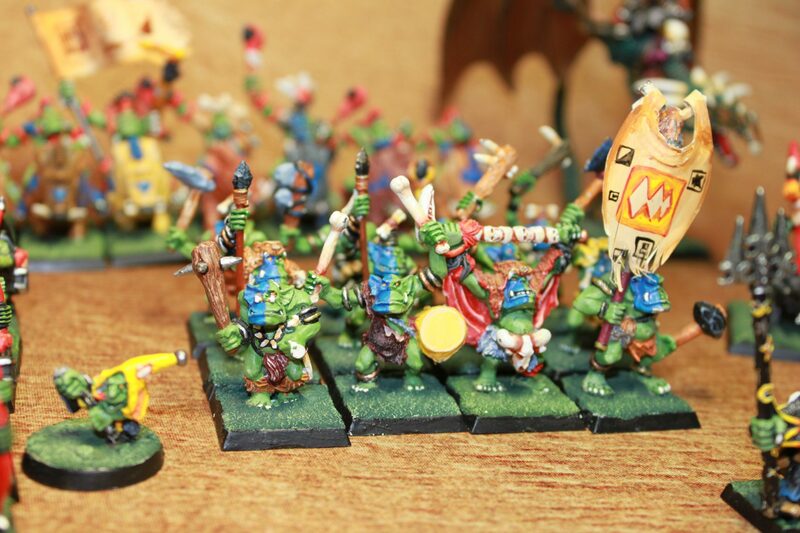 As you can see the big group of night goblin arrow boys are lead by a Black Orc Big Boss for leadership… no, that is NOT cheating lol. 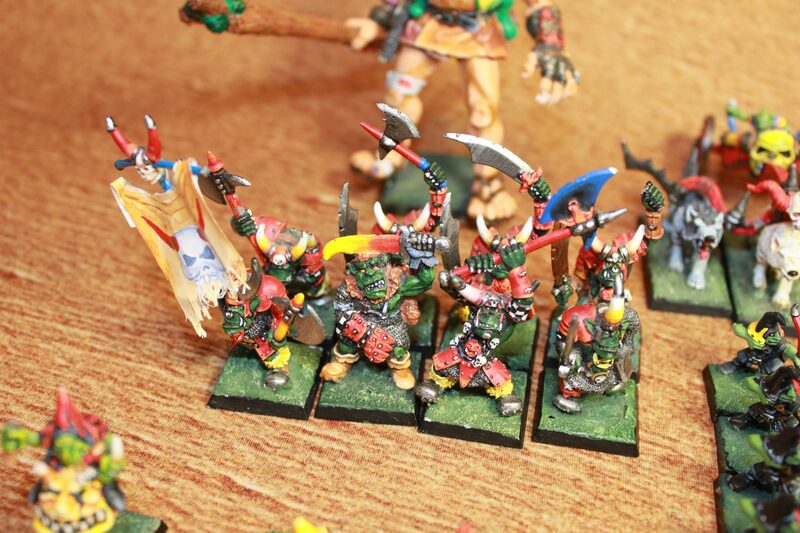 Note one of the Black Orcs is a really old Citadel orc.